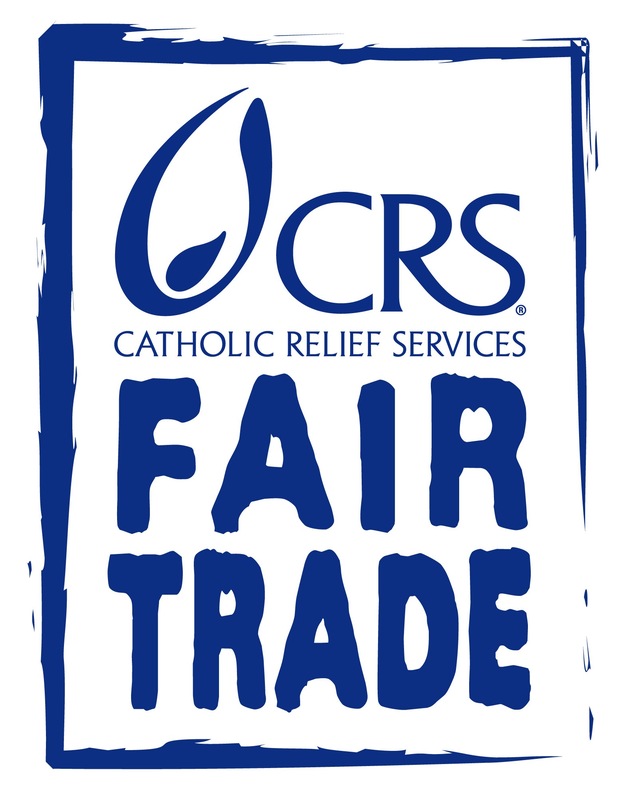 In October Catholic Relief Services (CRS) Fair Trade celebrates the fair trade movement in a special way. At its core, the fair trade movement creates enduring relationships that uplift human dignity and ensure a better work environment for marginalized farmers and artisans around the globe. Over the years, I’ve had the privilege to meet artisans and farmers whose lives are positively impacted by the benefits of a trading system that pays a fair price, provides monetary support for community development projects, and supports farmers and artisans with financing and product development. 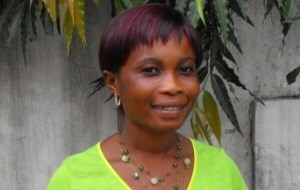 Farmers like Fatima Ali, president of the Kuapa KoKo farmers union in Ghana. Her farmers union produces the cocoa for Divine chocolate. Fatima shared with me the real impact that fair trade has had on her life and the life of her community: financial independence, schooling for children, a well with clean water, and safe secure houses. When economic justice is your job, it is sometimes easy to get lost in the details and complexity but it really is quite simple. Every day our economic choices affect our brothers and sisters around the world positively or negatively. Here are five simple ways to live your faith in the market place and encourage your school, parish, or community to do the same. Bring faith formation to life through reflections, prayers, and activities with a global perspective. Find out how fair trade relates to our faith with our Catholic Social Teaching and fair trade resources. You can also prepare for Advent with special prayers, weekly reflections connected to the Gospel, and activities to help prepare our hearts and minds to receive Jesus! Call 1.800.685.7572 or request a consignment information packet and order beautiful products from fair trade artisans through our partner Serrv at no cost to you! 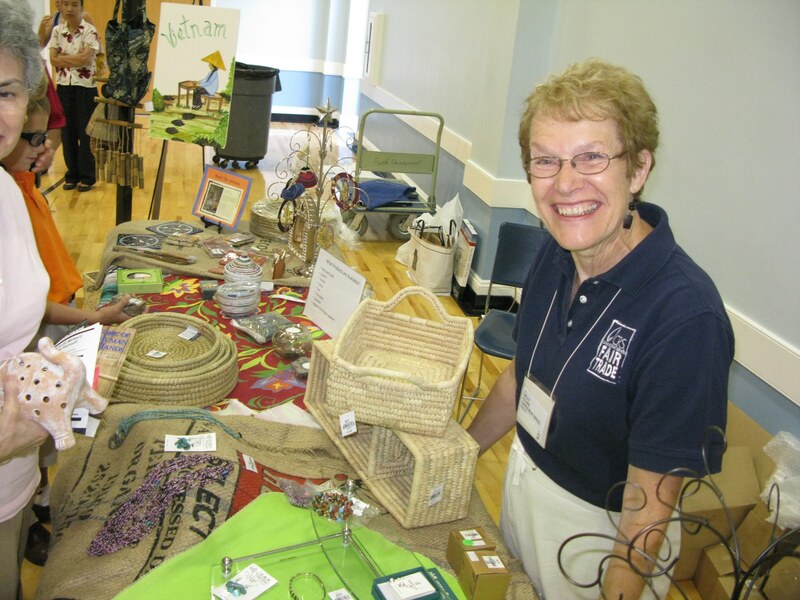 Host a CRS Fair Trade Community Order and share fair trade with your small faith community, youth group, women’s group, senior group, or other ministry. Raise awareness and funds! 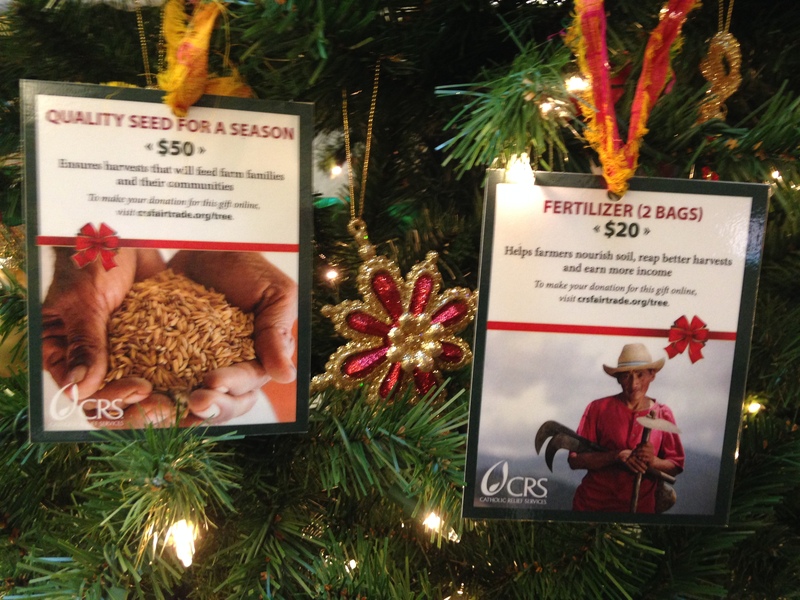 Call 1.800.685.7572 or request a free CRS Fair Trade Community Order packet online. Round up all of the individual orders from your group, and place one order ($300.00 minimum). Make a 20% profit for your ministry! Participate in a community shopping event to benefit CRS at Ten Thousand Villages stores nationwide on Friday October 16. Fifteen percent of customer-designated purchases will be donated to CRS to support artisans and farmers overseas. Can’t make it to the store? Shop on-line and use promo code CRS2015. Switch to fair trade coffee through CRS partner Equal Exchange or other CRS partners in your area. Call 774-776-7366 or use this link to shop. Be sure to select “Catholic Relief Services Fair Trade Program” when setting up your account so that your purchase can be counted! Raise Money right with the Equal Exchange fundraising program. Schools make a 40% profit. Remember when you support CRS’ fair trade partners, you support artisans and farmers, and provide economic opportunities for people living in poverty. For every purchase, our partners donate a percentage back to the CRS Fair Trade Fund to support artisan and farmer organizations overseas. For more information visit crsfairtrade.org, email fairtrade@crs.org, or watch a short webinar on how to fair trade your fall. Simone Blanchard is the Manager of the Economic Justice Program at of Catholic Relief Services. Sign up for more information about what the Church is doing to confront global poverty, U.S. international and economic policies, and their impact on poor people around the world. Visit Catholics Confront Global Poverty | Get Involved, an initiative of the United States Conference of Catholic Bishops and Catholic Relief Services.